Gene is different from everyone else around him. He can't run with lightning speed, sunlight doesn't hurt him and he doesn't have an unquenchable lust for blood. Gene is a human, and he knows the rules. Keep the truth a secret. It's the only way to stay alive in a world of night--a world where humans are considered a delicacy and hunted for their blood. When he's chosen for a once in a lifetime opportunity to hunt the last remaining humans, Gene's carefully constructed life begins to crumble around him. He's thrust into the path of a girl who makes him feel things he never thought possible--and into a ruthless pack of hunters whose suspicions about his true nature are growing. Now that Gene has finally found something worth fighting for, his need to survive is stronger than ever--but is it worth the cost of his humanity? Born in Manhattan and raised in Hong Kong, ANDREW FUKUDA currently resides on Long Island, New York. After earning a bachelor's degree in history from Cornell University, Fukuda went on to work as a criminal prosecutor in New York City. He now writes full time. “Excellent…fantastic and truly top-notch. 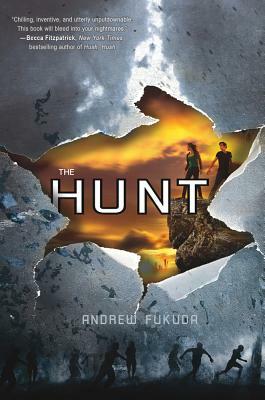 I highly recommend checking The Hunt out!” –Hippies, Beauty and Books, Oh My!